Soloing is an important part of your playing, but practicing on your own doesn't always get the creative juices flowing---there is nothing like the experience of sitting in with a full band. Though playing with a group isn't possible every time you want to jam, Sitting In: Jazz Piano brings the band to you anytime so you can practice comping patterns and soloing with the same energy as playing live. 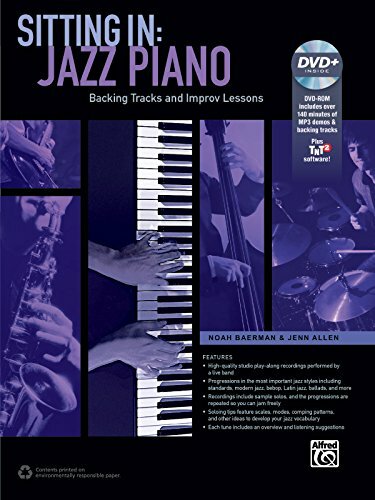 The book offers tips and techniques from veteran jazz educators Noah Baerman and Jen Allen to give life to your practice sessions and inspire you to add new sounds to your jazz vocabulary.